Check out the archives on my dublab page. 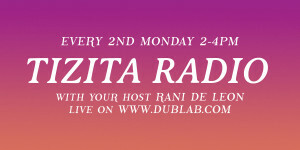 Tune in every 2nd Monday on the month from 2-4PM, live on www.dublab.com! © 2014 Rani de Leon. All images are copyrighted by their respective authors.